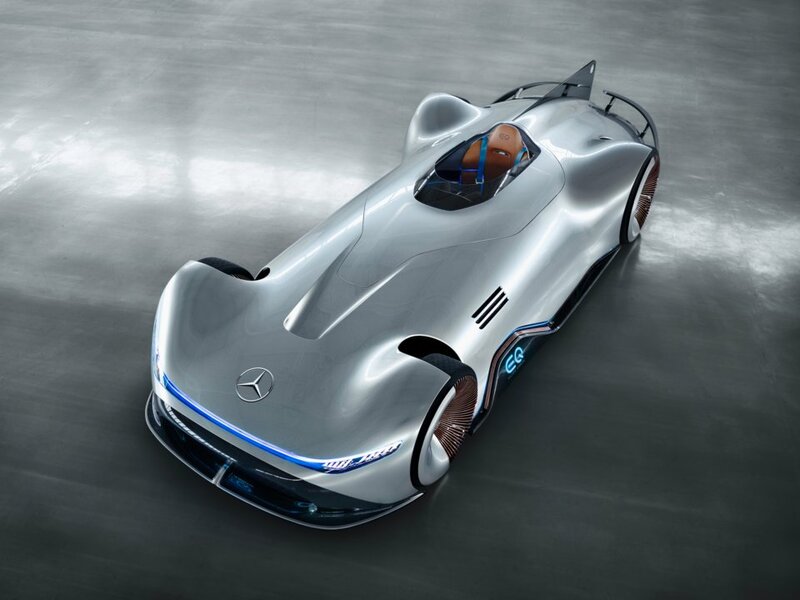 Mercedes-Benz unveiled its new EQ Silver Arrow concept on Friday at Pebble Beach in Monterey, California. The striking electric concept pays homage to the company’s record-breaking W125 Grand Prix racer that averaged an incredible 268.9 mph on the autobahn in 1938 with the legendary Rudolf Caracciola behind the wheel. According to Mercedes, the EQ Silver Arrow will have 738 horsepower at its disposal and a range of more than 250 miles. Mercedes-Benz unveiled its new EQ Silver Arrow concept on Friday at Pebble Beach in Monterey, California. The striking electric concept pays homage to the company’s record-breaking W125 Grand Prix racer that averaged an incredible 268.9 mph on the autobahn in 1938 with the legendary Rudolf Caracciola behind the wheel. Mercedes envisions the stunning retro electric concept with 738 horsepower drawing energy from a rechargeable 80 kWh battery pack giving the EQ Silver Arrow a range of more than 250 miles on a single charge. “Intended for acceleration and driving pleasure, it embodies progressive luxury and provides an insight into the future of our design,” Wagener added. 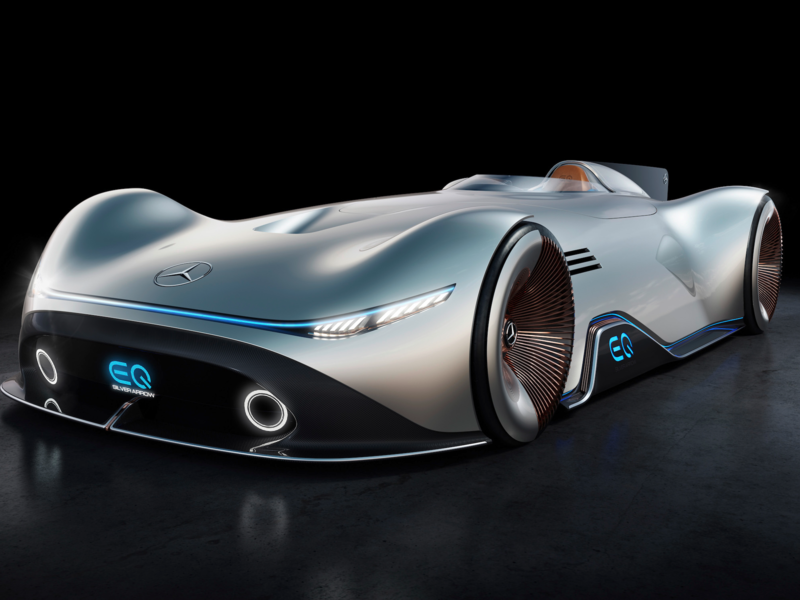 The EQ Silver Arrow is the latest in a line of flashy concept cars introduced at Pebble Beach by Mercedes-Benz. In 2016, the three-pointed star unveiled the dazzling Vision Mercedes-Maybach 6, an 18.5 foot-long electric concept featuring the brand’s iconic gull-wing doors and styling inspired by classic luxury yachts. Last year, Mercedes followed up with the convertible version of the concept called the Vision Mercedes-Maybach 6 Cabriolet. In addition to Mercedes, a host of other major automotive brands including BMW, Bugatti, Jaguar, Infiniti, Lamborghini, and McLaren also rolled out new models at Pebble Beach last week.